CAMP HUMPHREYS, South Korea - When they're doing their job correctly nobody notices but when they don't bad things can happen. 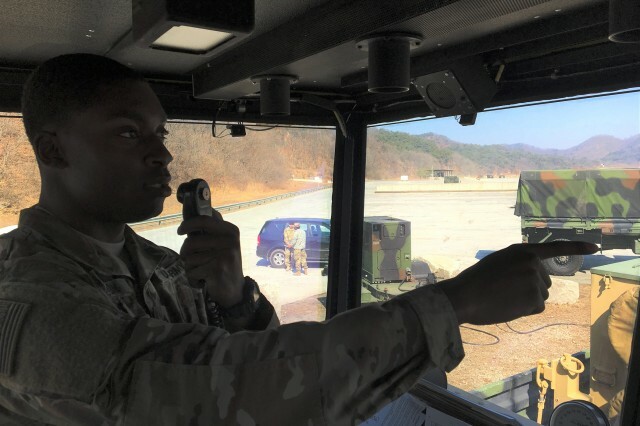 Day to day the Soldiers and leaders of the 4th - 58th Airfield Operations Battalion work diligently to ensure the aircraft that fly at Camp Humphreys do so efficiently and safely. The battalion's good work has not gone unnoticed or unrecognized, recently the Army Aviation Association of America named 4-58th AOB the Air Traffic Control Unit of the Year. Commanded by Lt. Col. Ryan I. Moore, the battalion's primary mission is to set up and establish contingency and tactical Air Traffic Services in support of Eighth Army and United States Forces Korea. 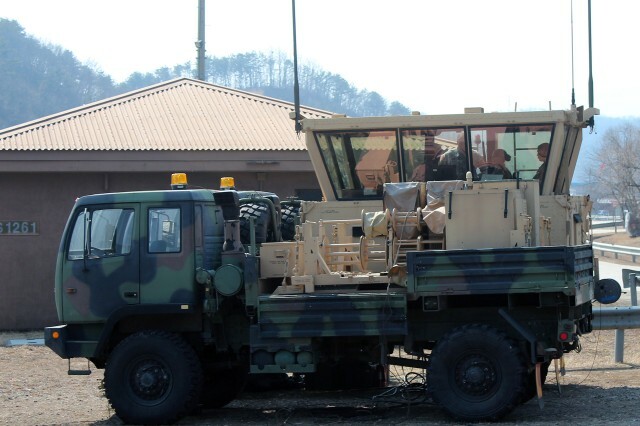 The battalion is also is responsible for the tower and ground control approach controllers at Desiderio Army Airfield at Humphreys and for the Guardian Control flight information center at Seoul Air Base, also known as K-16. 4-58th AOB also provides oversight to the USAG-Yongsan VIP heliport. Chief Warrant Officer 3 Quentin E. Young, the battalion Standardization Officer said in addition to controlling more than 60,000 movements per year at Humphreys, 4-58th AOB has a combat mission--it can deploy Air Traffic Controllers to remote sites or the front lines to support military aviation in times of peace and war. Moore said the award is validation of the unit's effectiveness and recognition of his Soldiers' excellence. "It shows the Soldiers and trainers do their job correctly, safely and efficiently," Moore said. "You do the right thing and people see it." Every unit that competes submits a nomination package to their local AAAA chapter; 4-58th submitted its packet to the Morning Calm Chapter in Korea. From there it went to the national office in Connecticut to be judged against packets from more than 30 other United States and overseas-based units. AAAA considers several criteria: exceptionally high efficiency displayed in the control of aircraft traffic or recognition of outstanding service by users of the service; outstanding handling of an unusual traffic overload or emergency by a facility or group of controllers within a facility; a notable group contribution to safety, procedures, systems concept, or development; and outstanding community or activity support. The unit that wins the award is the one AAAA deems has contributed greatly to safety or efficiency in tactical ATC during the awards period--September 1 through August 31. Moore said the superlative results from a June 2016 inspection from the Air Traffic Service Command Aviation Resource Management Survey contributed to the award packet. The survey included a check of the battalion's records, as well as an examination of its operations and performance. ATSC gave the DAAF tower and ground control approach fixed based controllers a 98 percent rating. 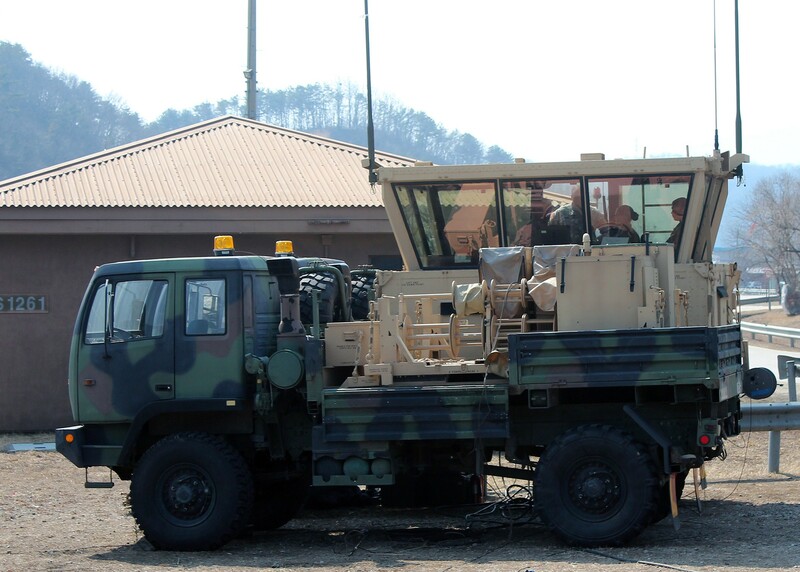 The tactical controllers received an 88 percent rating; USAG -Yongsan's H-264 helipad received a 97 percent ATC operations and training rating. "They spoke to Soldiers, watched them do what they do and saw we could do the job," Moore said. Young said the AAAA award reflects a collective effort, not just from the air traffic controllers but the repairmen who ensure the battalion's equipment good to go. Warrant Officer Luis N. Sandomingo, the Air Traffic Services Platoon Leader and Maintenance Officer for ATC Maintainers, concurs. Sandomingo praised the unit's maintenance Soldiers, calling them "the unsung heroes" of the effort. "This inspection and this award certifies that I'm on the right track to teach these Soldiers. It's a huge testament to us, making sure our Soldiers are doing what they need to," he said. Sgt. 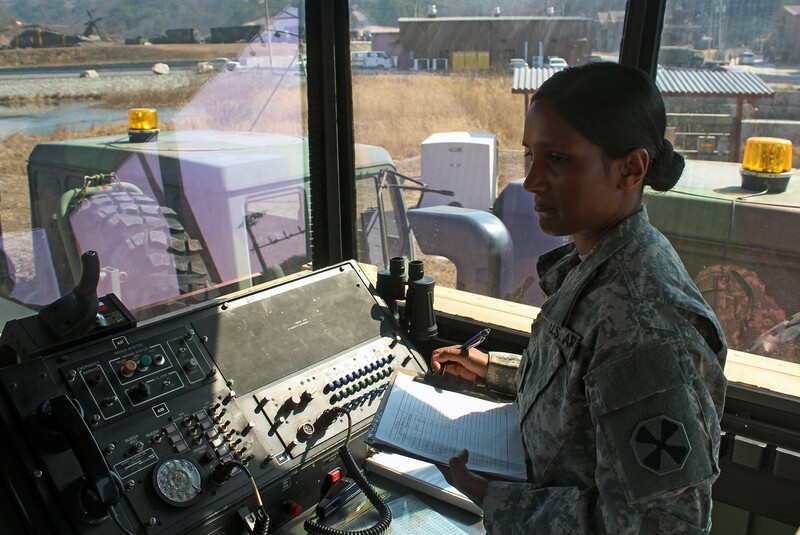 1st Class Telisha White, the Platoon Sergeant for the Air Space Information Center and En Route Platoon said the award means a great deal to her and her Soldiers. "It means a lot to me but it means more to my Soldiers because they're the ones out there training on their equipment; they're putting in the extra time, their blood, sweat and tears to get these systems up and operational," White said. "To actually see that their works means something to the mission and the Army's overall success is what drives them now." Sgt. 1st Class Andrew J. Pollack, 4-58th AOB Terminal Platoon Sergeant acknowledged the contributions his Soldiers made but also praised their first-line leaders, the young noncommissioned officers who lead them day to day. "I think we've got a really fine group of junior NCOs. Those guys, sometimes they just amaze me, their dedication, some of the things they're willing to do," Pollack said. "These guys are great, we've got the best, we really do." White agreed, citing the junior NCOs teambuilding skills. "If it wasn't for those junior NCOs guiding these Soldiers to get this mission complete and showing them how it gets done, they wouldn't succeed," she said. "They have built their team as a family, as a team, as a squad and that's the reason why our unit is successful." "They're a great group," Pollack said.